The Everson gyrocopter was built by Ron and Ernie Everson in the early 1960s. The gyrocopter was tested at Muriwai Beach, New Zealand, where it was tethered to a vehicle and driven at high speed. The aircraft did not receive a Certificate of Airworthiness. 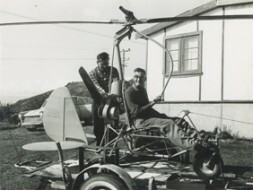 Ron Everson donated the gyrocopter to MOTAT in 1982.